It’s the last day of April and May is just around the corner. We’ve had a very warm winter and a beautiful spring so far. Eating with the season is a lot of fun at the moment. 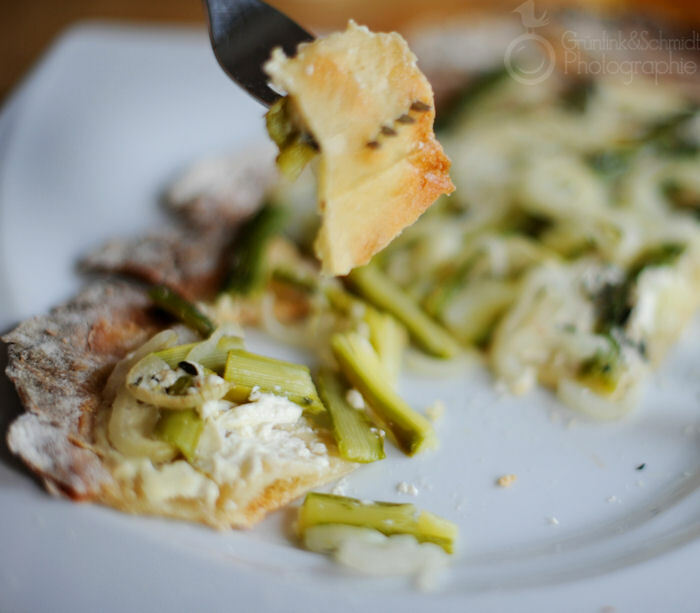 As I said before, I love asparagus – and have been cooking with it at every possible meal. 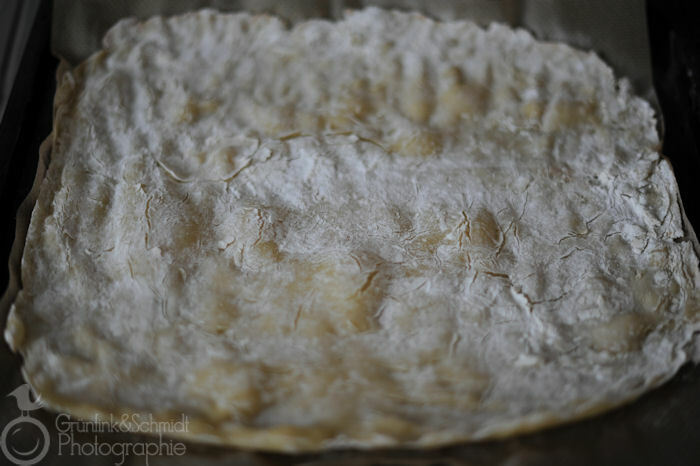 Flammkuchen are a popular dish from Alsacia, a region of France. For historical reasons the food from Alsacia is also very popular in the south of Germany, which borders on Alsacia. Flammkuchen (or Tarte Flambeée) are sorta, kinda like a pizza, essentially a yeast-based dough, rolled out very thinly (so it’s very crispy) and topped with crème fraiche. Most Flammkuchen are then topped with bacon bits and leeks (or onions), but there are also sweet versions with thin apple slices drizzled with sugar and cinnamon. As a vegetarian, I had a hard time finding Flammkuchen back in the days when I still ate gluten, so it wasn’t a regular treat. I did attempt making my own, unfortunately without much success. After I was able to perfect my cripy pizza crust recipe, I decided to make Flammkuchen based on it. The result was really good, and my husband – who exclaimed “who is going to eat all of this? !” when he came home – finished every last crumb of his Flammkuchen with delight. 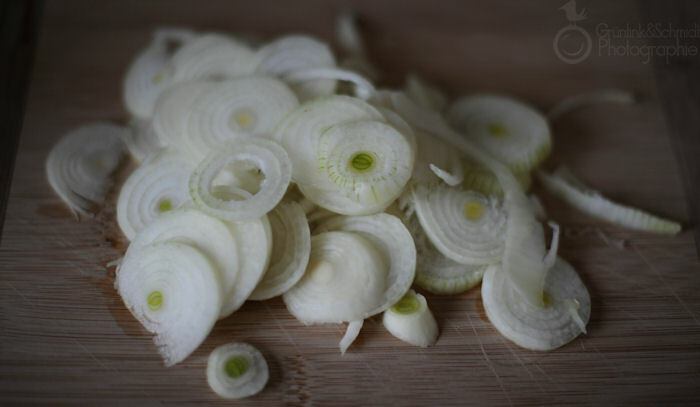 You can vary the toppings indefinitely, but I do suggest that for the salty versions, you always keep the leeks or the onions, it’s part of the unique Flammkuchen flavour! whatever toppings you fancy, e.g. 300g tomatoes or green asparagus, peppers, corn, etc. In a bowl, mix all the dry ingredients (except the sweet rice flour, which you will need later). 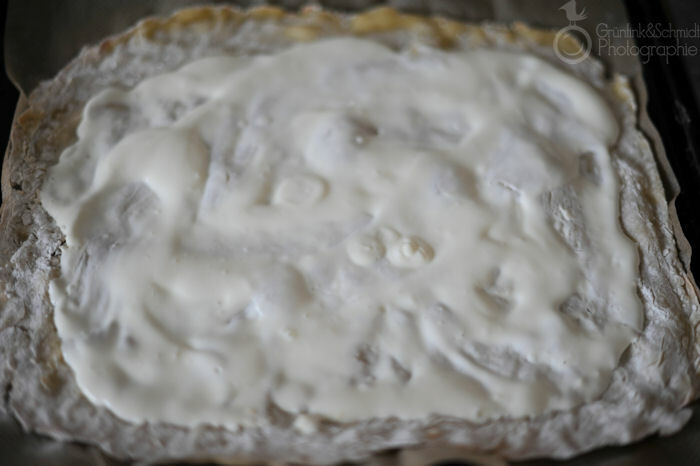 Place the dry yeast in a separate bowl, add the sugar, the yoghurt and the warm soda water (if you are scared of killing the yeast, just use water at room temperature and let the dough rise a little longer). Using a whisk, dilute the yeast. Add the vinegar and the oil. Add the dry ingredients to the liquid ingredients and knead into a smooth dough. The dough will be difficult to manage and rather on the liquid side, so if need be, add a bit of additional gluten-free flour mix (a tbsp or two). Knead the dough for a couple of minutes, and then let rest below a humid kitchen towel for an hour or two until it has about doubled in size. Line two baking tins with baking parchment; take out half of the dough and place it onto the baking parchment. Cover the dough entirely with sweet rice flour. 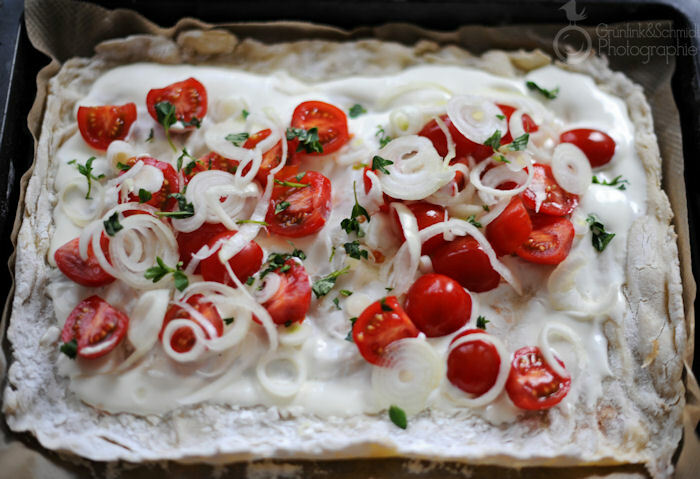 Using the help of the rice flour spread the dough out carefully into a very thin Flammkuchen crust. You may need to add more sweet rice flour as you go. Repeat with the second Flammkuchen crust. 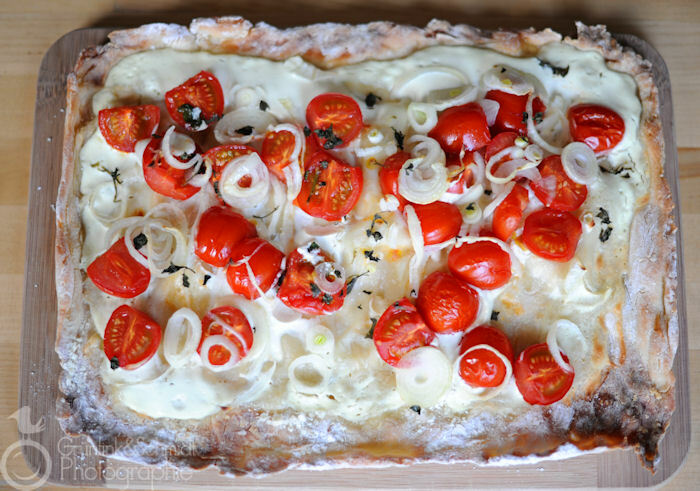 Place both Flammkuchen crusts into your (cold) oven. Let rise for another hour. Heat your oven to 275 °C (I would have heated it even higher, but my oven isn’t capable). Bake Flammkuchen crusts for about twelve to fifteen minutes, the edges should have started to roast. 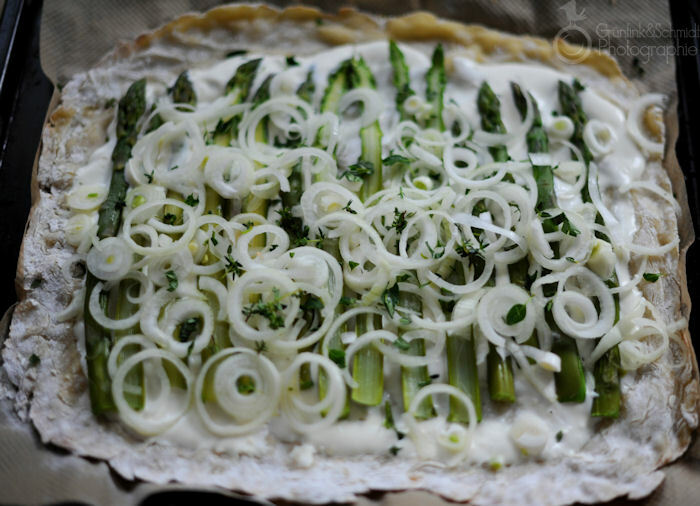 Take the Flammkuchen out of the oven and spread half of the crème fraiche over them, leaving lots of crust on the edges. Add the other toppings, finishing off with the onions and any herbs you may want to use. I made two versions: one with halved cherry tomatoes, onion slices and oregano and one with green asparagus and onion slices and thyme. Bake Flammkuchen another ten to fifteen minutes, until the crust has baked thoroughly and the onions have begun to roast. 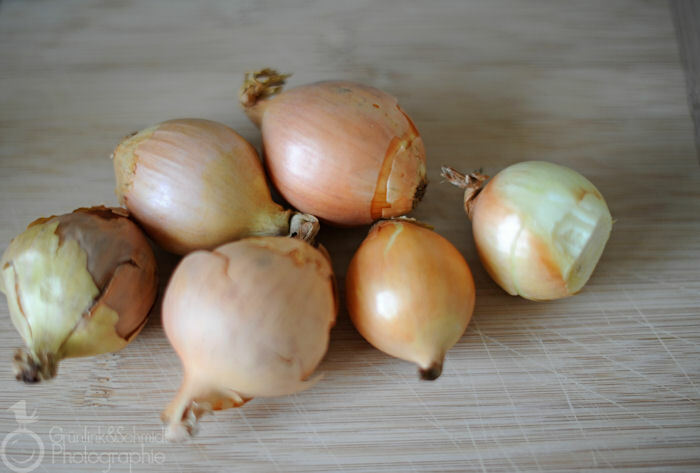 Serve while hot, preferably on a wooden board (ensure that it is gluten-free) and with a sharp knife. In Alsacia Flammkuchen is served with new white wine. 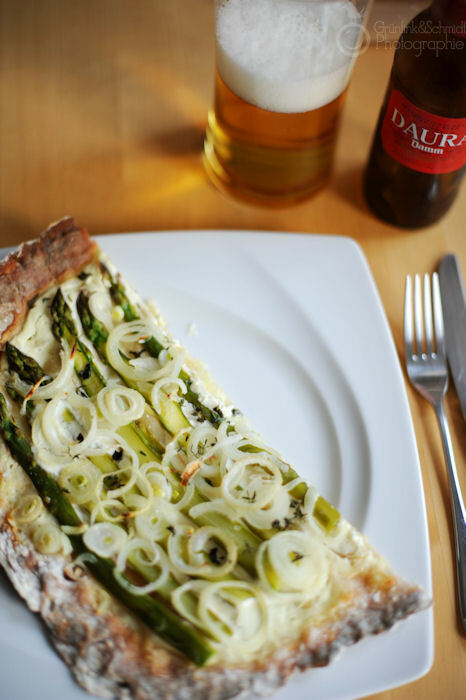 I didn’t have any, so I ate my Flammkuchen with the last bottle of Daura Damm gluten-free beer which I imported from the Netherlands. Alsace is in France, my dear. Let’s have tarte flambee together 🙂 hop’la!